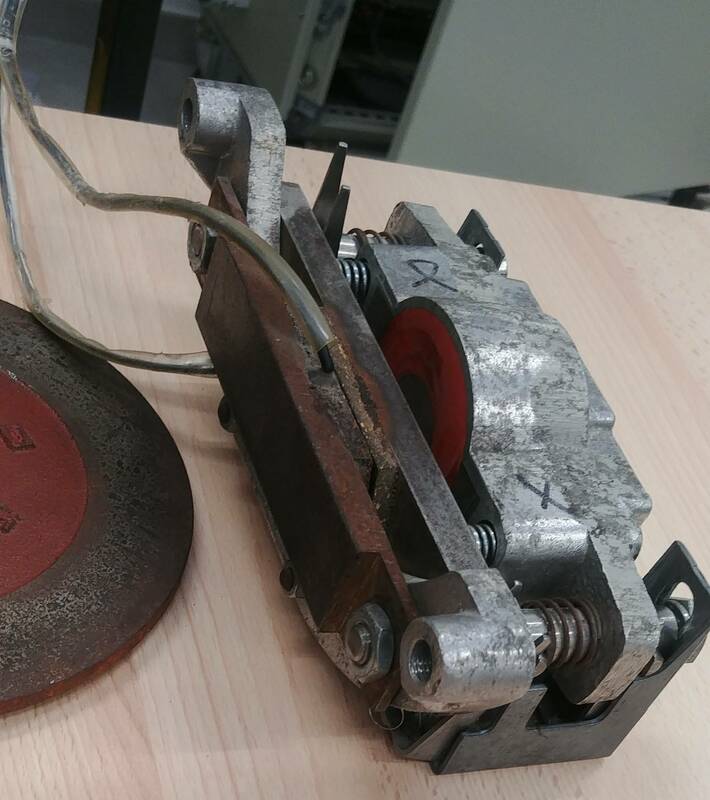 so we have this brake here : It was powered this way in the first place : (Frein means brake in french) But it won't open.. We've tried with a lab power supply, with 24v going at 0.5 A, same thing there was before removing it from the machine. There is 45 ohms on the ends, so the coil should be alright? Also I have no idea what's that third cable entering on the top, the metal piece is not wired to anything, and the end of the cable wasn't wired neither. So is the magnet dead or is there something we're missing here? Browse other questions tagged motor or ask your own question. 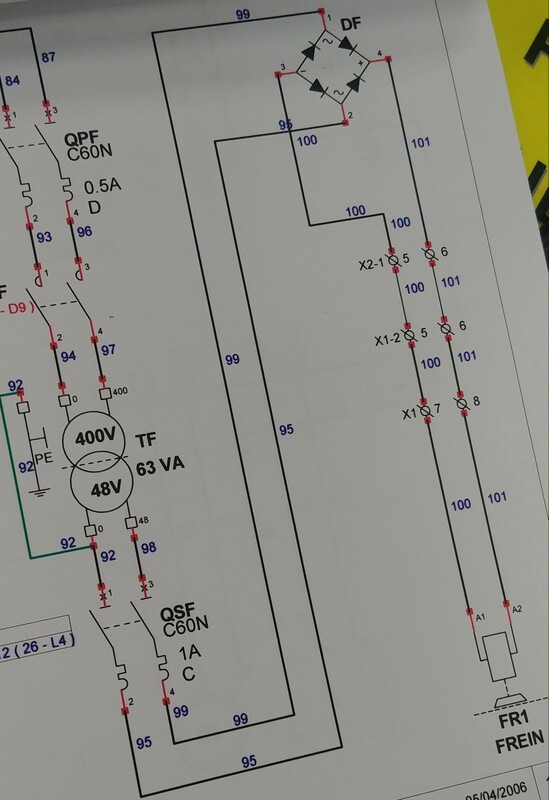 Minimum current to measure from a 30kW motor? What does “short brake” mean?